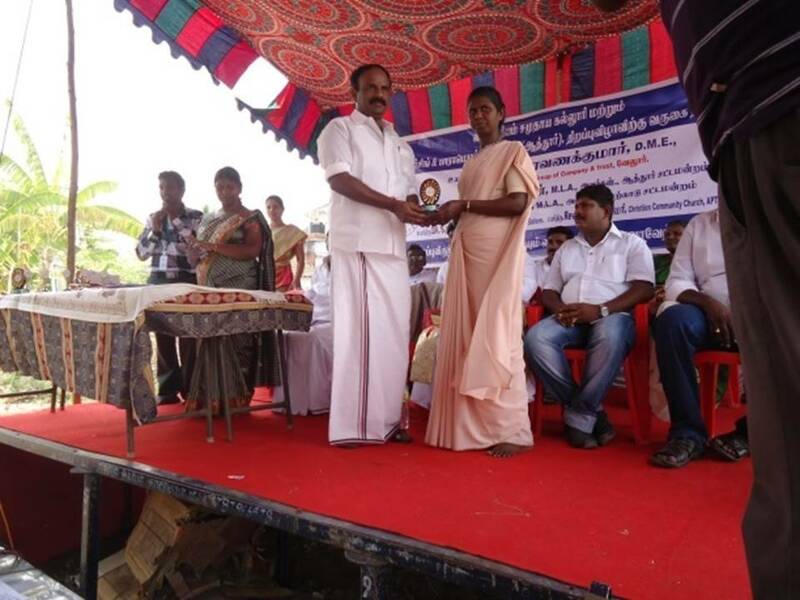 Deepam Self help group at Nerinchikudi Village Pudukottai District has won Manimegalai Award Rs.1,00000 for the Best SHG in the State and received the same from Ex.Deputy Chief Minister of Tamil Nadu. 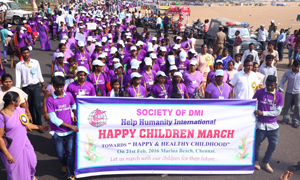 DMI was awarded as a best Social Work Organization in the year 2003 for the works that were carried out in the Perambalur district from 2001 to 2003, and it was Valued in the first place among other NGOs in the District. This award was presented jointly by the district collector and Mrs. Gariali IAS, Managing Director of Tamil Nadu Women Development Corporation Chennai. 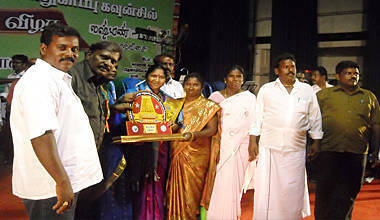 Mrs.Malini, President of Chittukadu Panchayat in Tiruvallur District was awarded with Gramiya Rathna Award . She has completed 4 years successfully as the president of this Panchayat and has achieved this laurel. 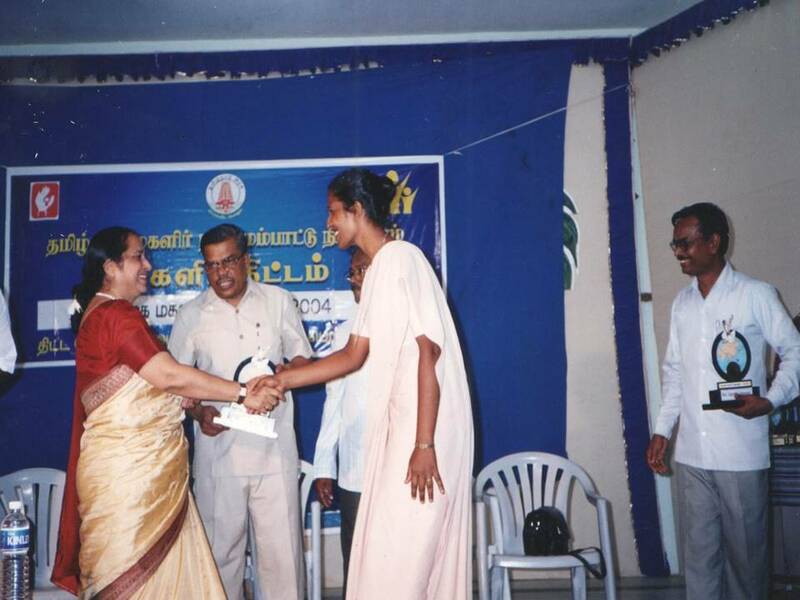 The award is given by National Cultural Development and Protection Centre, Namakkal. Founder father was moved at the new achievement of the SHGs and the President of DMI Tamilnadu Women Federation and blessed them her wishing towards still new heights. DMI received a certificate of merit from Mr.Santhosh K.Misra, Kancheepuram District collector for outstanding performance in the Revolving Fund Distribution function, presided by Mr.M.K.Stalin the Duputy Chief Minister of Tamil Nadu on 27th January 2010. 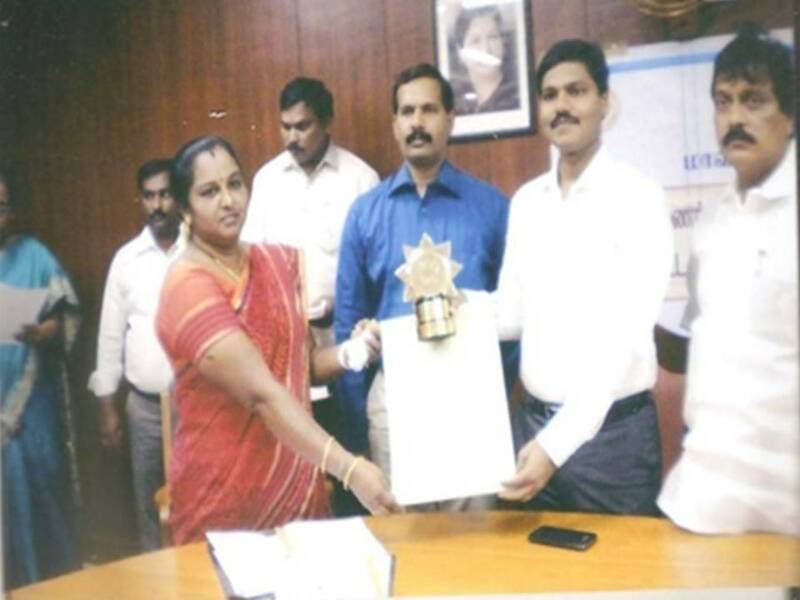 Mrs.Nirmala Panchayat President of Banaveduthottam , Thiruvallur district and member of DMI SHG received the “sugatharagramam” award (100% Sanitation) from the District Collector on behalf of PLF on 04.09.2013. DMI Salem branch was honored and was awarded the that works for the development of the Tribal Community. 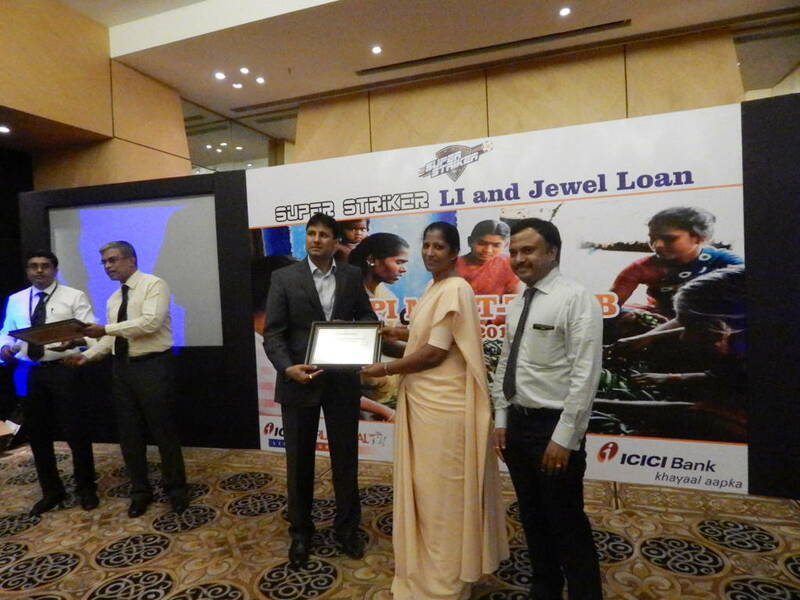 DMI was awarded as the best NGO among ICICI partners in Tamil Nadu in July 2014. 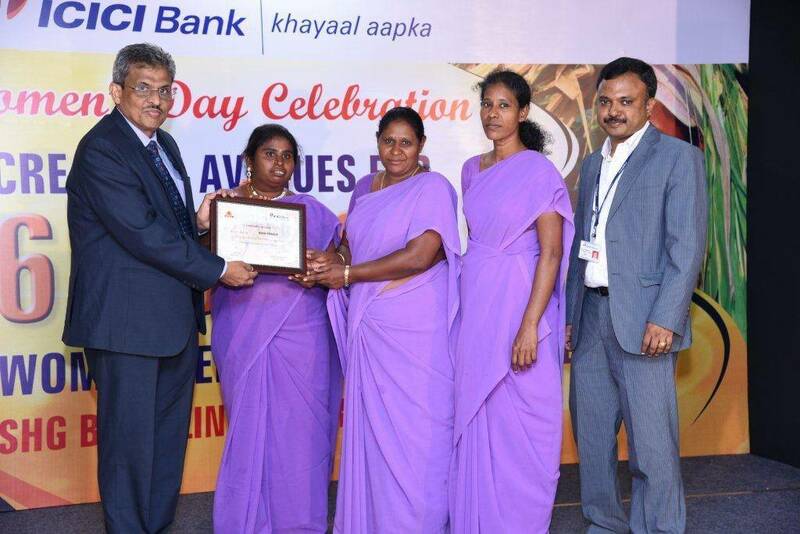 The prestigious Manimegalai award by Tamil Nadu Corporation for Development of Women at the state level was awarded to AnnaiIndra SHG, Vellavedu, Thiruvallur District which encloses a cheque of Rs. 1,00,000/- and a certificate. Similar award at District level which encloses a cheque of Rs. 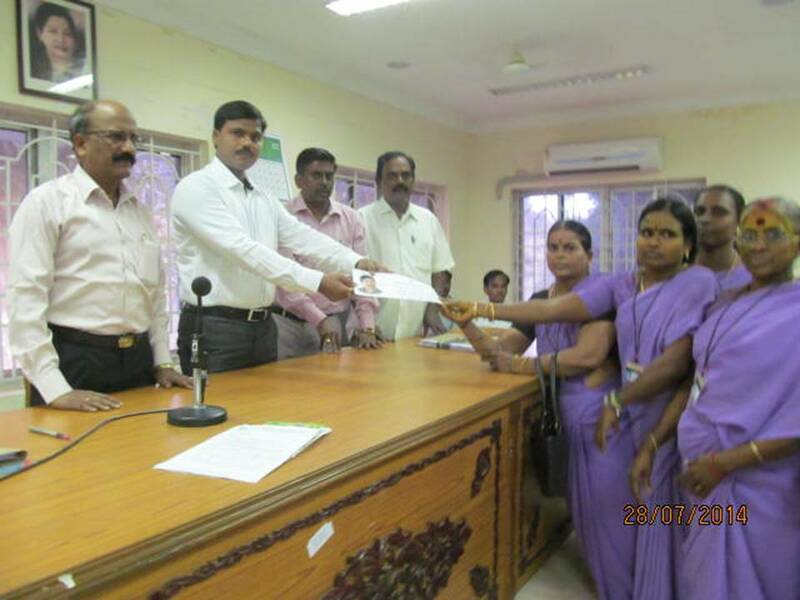 25,000/- and a certificate was awarded to 4 SHGs from Dindugal, Kancheepuram and Chennai districts by the District collectors and Chennai Mayor in the year 2014. 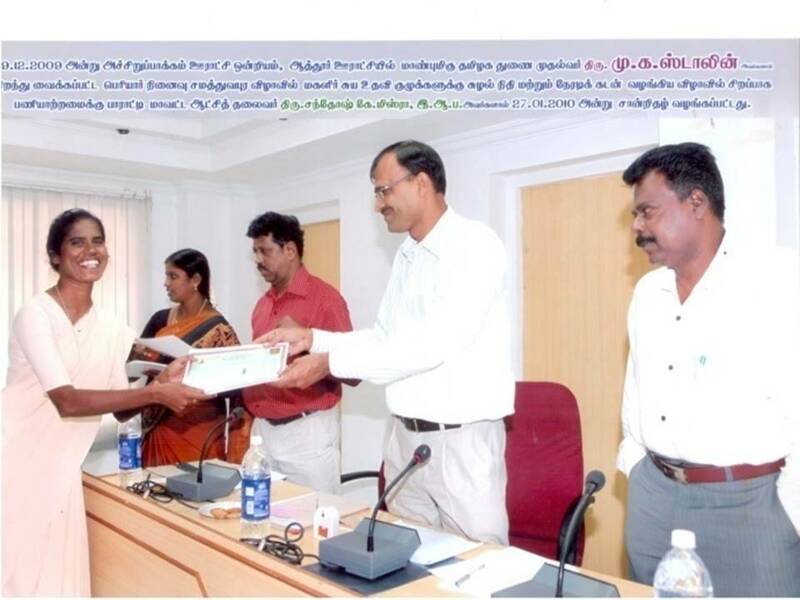 DMI was awarded as the best NGO for Best practice of T.B programme in Thiruvallur District by the District Collector.